Retiring early, before social security and Medicare benefits are available, requires that a significant portion of your pre-retirement income be maintained by some means that is likely to continue for the rest of your life. The planning is complicated by two factors: you will have less time to save for retirement, and you will live longer in retirement than if you retire later in life. A successful early retirement requires first that you save as much as possible during your working years, and second that you find ways to minimize your monthly living expenses when you are retired. Remember, when it comes to retirement savings time is your best friend and compound interest is your next best friend. Many financial planners suggest you adhere to a strict plan to invest a portion, say 20%, of each paycheck in an index like the S&P500 and let it accumulate without taking any withdrawals until you retire. The money you withdraw then will be taxed at the lower long-term capital gains rate. You should complement those savings with tax-deferred plans like a 401(k) plans or long term deferred annuities. Keep in mind that these investments cannot be used for income before you are 59 ½ without severe withdrawal penalties. Thus, the portion of your money that will be needed prior to turning 59 ½ should be invested with tax efficiency in mind. If compound interest is your friend, inflation is your enemy. The long term average annual inflation rate is 3%. At that rate, in the next 40 years or so the purchasing value of a dollar will shrink by 70%, so $1 million of savings will purchase about $300,000 worth of goods. In other words, if you plan to need $50,000 per year in today’s dollars, then if your plan is to have $1 million on hand in 40 years it will last about 6 years at that time. For the long haul, you need to invest with inflation in mind. Investments such as real estate, commodities, gold, silver, and collectables generally increase in value along with inflation. While safety is important, keep in mind that, over the long term, stocks have bettered inflation whereas bonds have not. This is because Inflation allows companies to pass on cost increases, so in general profits increase and their shareholders benefit. Annuities that allow participation in stock market gains, like fixed index annuities, may provide a long term hedge against inflation while also protecting against losses and providing guaranteed lifetime income. While research on aging shows that as we get older our annual living expenses decrease, that is not always the case. Many retirees own their homes outright, which does decrease their monthly bills substantially, but even when there is no mortgage to pay, retirees find that their annual property tax bill continues to climb. Healthcare and long term care expenses are also increasing year by year. 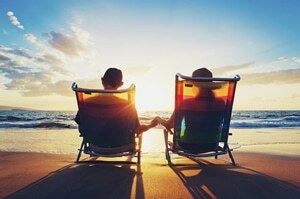 When planning for retirement, it is important to factor in these costs as well. A person has one opportunity to effectively plan for early retirement, and if that opportunity passes, it is too late. Unfortunately youth and wisdom do not often go hand-in-hand, so it is very important that anyone desiring to retire early seek professional advice early in the planning stage. 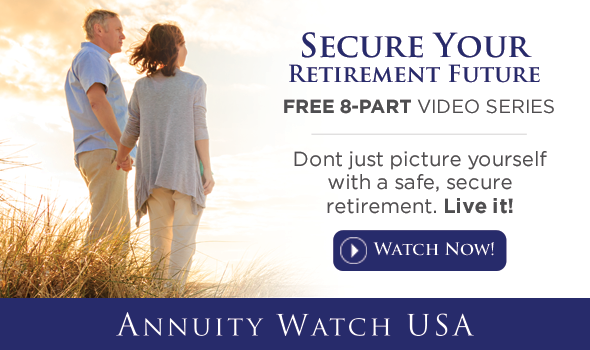 One excellent source of financial advice can be obtained by calling the retirement planning experts at Annuity Watch USA at +1 (972) 473-4700.